Please THANK Governor Brown for his VETO on SB 905! ...and now by Governor Jerry Brown! SB 905 was a poorly constructed, dangerous, nine-city, five-year experiment that would have made test subjects of 76% of California's population. 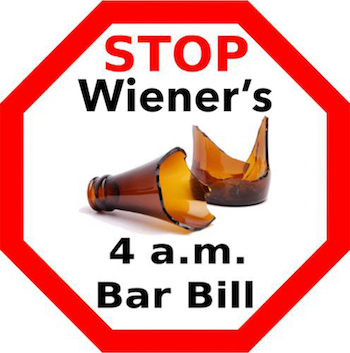 California cannot afford the physical, emotional, and financial costs for more alcohol-related violence, emergency room admissions, injuries, alcohol-impaired driving, and motor vehicle crashes.